Presbyterian Church with Warren Wolf Dec. 26. Warren Wolf, Ben Williams and Monty Alexander kick off this holiday weekend at area venues, with Branford Marsalis, fresh off a stunning solo CD release, coming to the Kennedy Center next week for a special New Year’s Eve show. Wolf, the talented multi-instrumentalist, plays vibes Friday, Dec. 26 for his “Warren Wolf New Years Jazz” show at Westminster Presbyterian Church, leading a group that includes Alex Brown on piano, Baltimore’s own John Lamkin III, drums, Romier Mendez, bass, and the multi-genre songstress Akua Allrich on vocals. The next night, Dec. 27, Wolf plays with the same rhythm section, along with Craig Alston on saxophones, at Caton Castle up the road in Baltimore (see http://www.catoncastle.com). D.C. product Ben Williams, the award-winning bassist, leads his group, Sound Effect, at Bohemian Caverns Dec. 26-27, with Allyn Johnson, keys, Jaleel Shaw, saxophones, Alex Wintz, guitar and John Davis, drums, on Williams’ annual birthday celebration weekend. Jamaica’s pride and joy of the piano, Monty Alexander, entertains at Blues Alley Sat. Dec. 27 through Wednesday Dec. 31 for New Year’s Eve, while renowned pianist Larry Willis plays at Twins Jazz for New Year’s Eve. 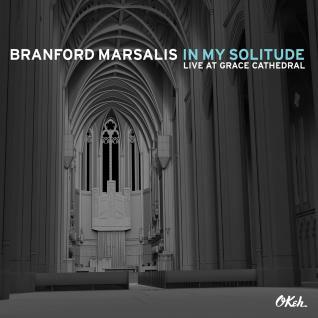 Serving then as a personal statement on improvisation, horn guru Marsalis’ formidable personal talents make “In My Solitude: Live at Grace Cathedral” a noteworthy addition to his artistry. Since first hearing him live with Art Blakey and the Jazz Messengers in the early 1980s at Blues Alley in D.C., his forthright approach, intensity and range on his instruments have long made him a favorite. This much horn work – Marsalis plays soprano, alto and tenor saxophone on the recording– by itself demands a certain level of pace, improvisation and mood to keep one entertained this long, but Marsalis carries it off well. “Who Needs It” begins things with some beguiling turns and spins through the intriguing melody. “Stardust” is an enchanting, more traditional ode to pure jazz, and honors the journey through the pantheon of ballad sax solo gems including Hawkins, Gordon, Coltrane and Rollins. From there, the recording ventures onward as jazz/classical crossings are explored, with some of the passages seeming to become winding, poetic musings, but often enough a story is told, as on the breadth of the “Improvisation” works (1, 2, 3 and 4), the genial “Sonata in A Minor for Oboe” and “MAI, OP. 7,” a highlight for its dramatic tension and engaging twists..
“Blues For One” is a work that in one way seems to reach back to the origins of the jazz genre in particular and frame the journey of the music through its bluesy, swing times through its bebop, to its free form periods and back, in the wry and witty riffs Marsalis is known for, to the blues, the root. See http://www.crossovermedia.net or http://www.marsalismusic.com for more information. 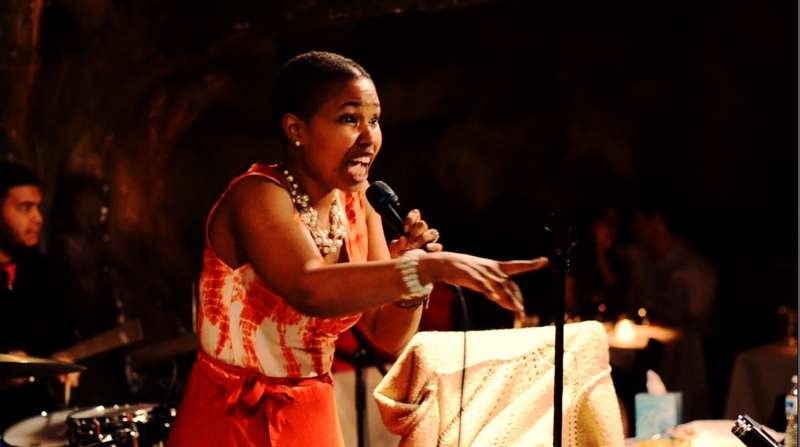 Tedd Baker is at Bohemian Caverns Dec. 30. Other highlights for late December and early January include: Saxman Tedd Baker’s final Tuesday as artist in residence at Bohemian Caverns Dec. 30 and Chelsey Green & The Green Project the next night at the Caverns, Dec. 31 for New Year’s Eve; The JN Jazz Legends Series features alto sax guru Arnold Sterling, with Sam King, also on sax, and Tiacoh Sadia, drums Jan. 2 at Westminster; Pianist Larry Willis returns to Twins for shows Jan. 2-3. Vocalist Kristine Key leads a group January 9 at Westminster, with Jon Ozment, piano, Cheyney Thomas, bass, Richard Seals, drums and Tracey Cutler, sax; keyboard whiz Mark Meadows leads a group at Twins Jazz Jan. 9-10. And Transparent Productions presents Mat Mitchell on piano and Ches Smith, drums, on Jan. 11 at Bohemian Caverns. Our Jazz Hero Willard Jenkins, so honored by the Jazz Journalists Association last year, has another feather in his cap – and more responsibility as a result. The DC Jazz Festival has named Jenkins, WPFW-FM radio programmer, and producer and artistic director for other festivals, as its artistic director, and he is to assume his new role January 5, according to a statement earlier this month from the DC Jazz Festival. 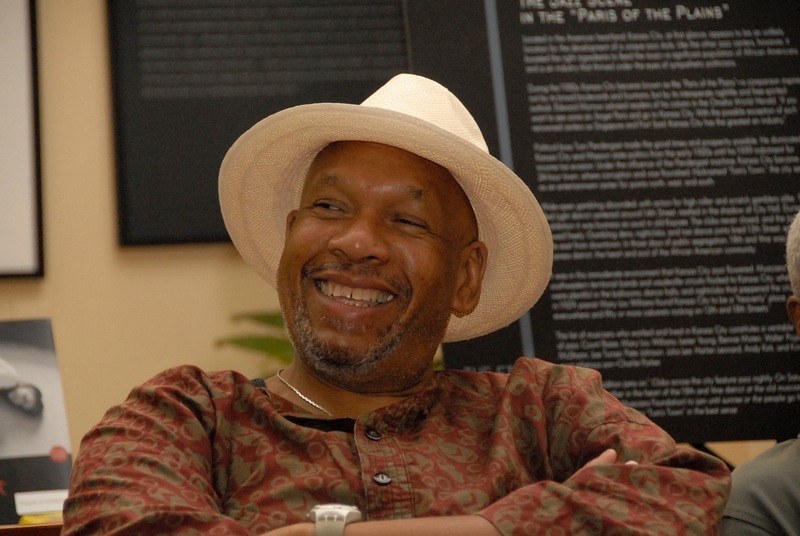 Jenkins has served in many capacities within the arts, media and academic industries as a consultant, arts administrator, artistic director, writer, journalist, broadcaster, educator and oral historian. 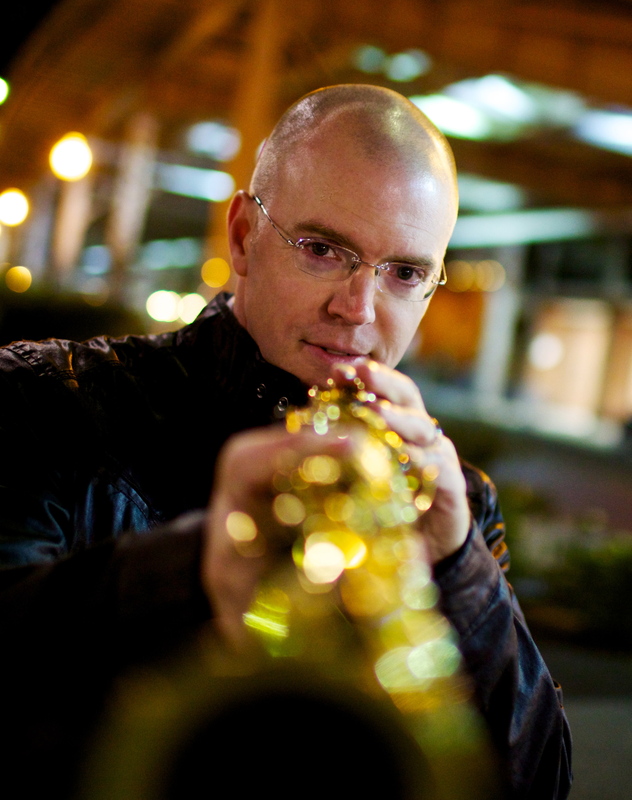 The Ohio native has served as artistic director of the Tri-C JazzFest (Cleveland, OH), the Beantown Jazz Festival (Boston, MA), Tribeca Performing Arts Center (New York, NY), and as artistic consultant to the Mid-Atlantic Jazz Festival (MD), 651Arts (Brooklyn, NY), Harlem Stage/Aaron Davis Hall (New York, NY) and the Smithsonian Institution (Washington, DC). For more information see http://www.dcjazzfest.org. Veteran master Fred Foss headlined the Ron Sutton Jr. benefit concert Dec. 14 at Bohemian Caverns with some of his vintage riffs on tenor saxophone, with Allyn Johnson on piano, Herman Burney, bass, Antonio Parker, alto saxophone, Michael Thomas, trumpet, Lenny Robinson, drums, Sweet Lou from Atlanta, and Candace on vocals helping out to make the evening a success with more than $1400 raised to help Sutton with medical expenses. Congratulations to director Kenneth Hammann and assistant director Colin Crawford on furthering the heritage with the St. John’s College High School Music Department and the jazz bands in particular. The Competition Jazz Ensemble entertained a good crowd Dec. 16 for the Winter Jazz Concert on “Cuaba” and “Southern Exposure,” with tenor sax man Mark Belmonte and guitarist Carolos DeLeon highlighting their sets. The Jazz Combo, on “Billie’s Bounce” and “Song for My Father and the Jazz Lab Band on ”Pentatonic Blues” and The Swing Band on “Undecided” also played well. Go Cadets! Like a little something different with your egg nog? 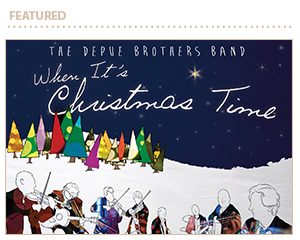 Try the DePue Brothers Band recording, “When It’s Christmas Time,” released a year ago on the Beat The Drum Entertainment label. The group, whose recent recording is “Weapons of Grass Construction,” is spearheaded by the four DePue brothers of northwest Ohio, Wallace, Zachary, Jason and Alex DePue, all for many years renowned musicians in the classical and bluegrass worlds, who have spread their range into other genres. The full band includes Don Liuzzi, drums and vocals, Mark Cosgrove, guitar, Mike Munford, banjo and Kevin MacConnell, bass. A sprightly “Sleigh Ride” kicks off the recording, with a sparkling, fun ride, almost squarely in the tradition. “Have Yourself A Merry Little Christmas” warms up slowly with strings at first, then picks up behind vocals, guitars, and strings strumming in harmony in the background, as the beat and the strumming gets more bluegrass along the way. “Banjo Medley” features “What Child Is This,” leading off a gentle blend of favorites. Other highlights include another family fun tune, “Linus and Lucy,” and “Jesu, Joy of Man’s Desiring,” an intriguing waltzy melody of strings and soft guitar. “When It’s Christmas Time” features sweetly harmonizing strings behind the vocals also, with “The Christmas Song” a solid reading of the all-time classic, singing strings adding a unique touch. Another fun tune, for kids and parents, about naughty and nice, is “Fat Man,” and “Winter Wonderland,” entertains with merry strumming and festive conversational sounds. Then, for all the enjoyable traditional flavor and humorous wrinkles, the musical highlight may be a tune one may not associate with bluegrass. “O Holy Night,” shimmers lovingly, as evocative a version as this listener can remember. See http://www.depuebrothersband.com for more information. When speaking of producing and George Cables in the same sentence one immediately thinks of the sterling piano work produced by Cables, whose pure as a bell sound no doubt owes partly to his classical training as a youth – and at Bohemian Caverns one night during a break in his sets with The Cookers a while ago, he spoke of his respect and admiration, still, for classical performers. On “Eshai Elohai” Naaman’s sax takes us vibrantly to the Middle East, with Cables intertwining some of his vintage piano lyricism and bassist Douglas and drummer Hutchinson driving the lilting rhythm with their own individual melodies and licks. “Dilemma” is a bristling romp, an ode to Naaman’s sure-handed feel for bop and “Fall” is a melodic sparkle, a twisting run by Naaman on sax, driven by Douglas and Owens, and accented brightly by Cables. 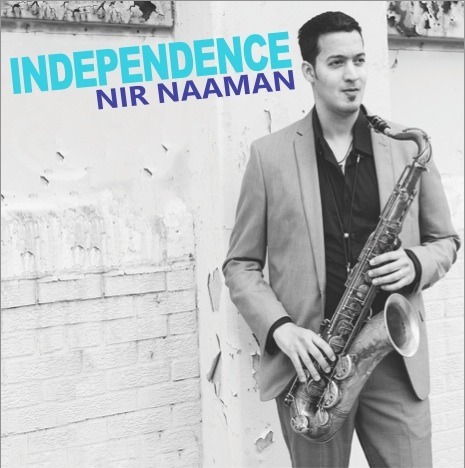 Other highlights include the title tune “Independence,” featuring Printup’s work on solos and harmonizing with Naaman, whose sax work displays an efficient, yet dense lyrical improvisational approach. Now pursuing a doctorate at the New England Conservatory, one looks forward to hearing much more from Naaman in performance and on recordings. See http://www.nirnaaman.com for more information.